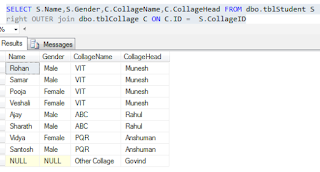 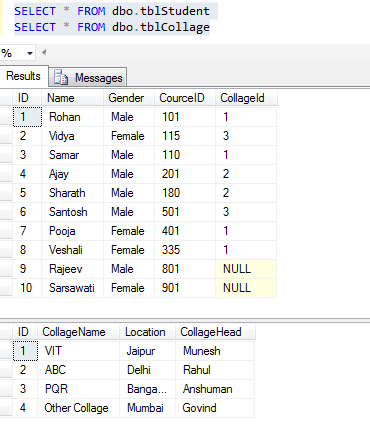 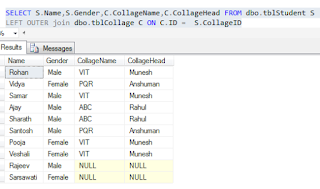 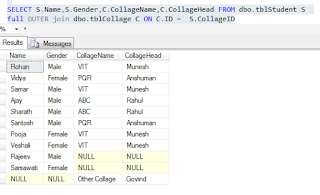 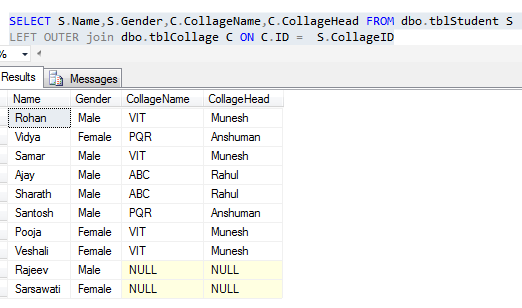 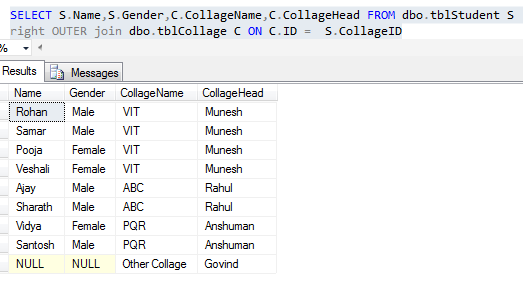 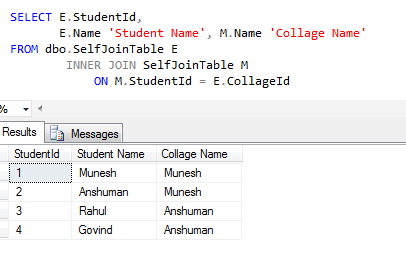 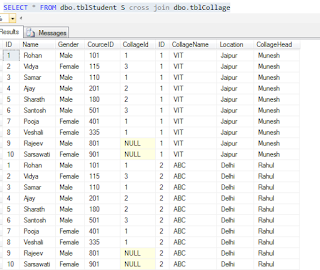 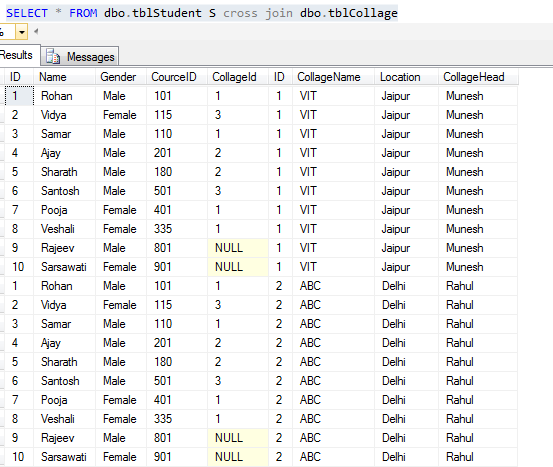 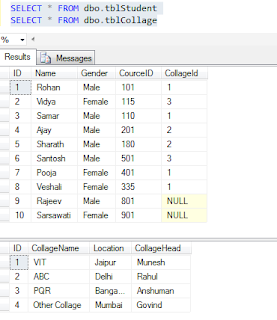 Now for understanding the concept of joining in sql server lets create 2 table name is TblStudent and tblCollage . 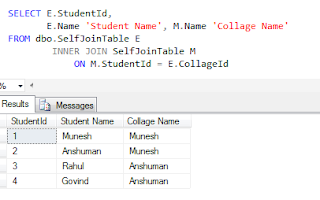 Note: JOIN or INNER JOIN means the same. 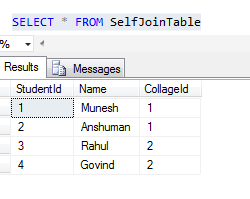 It’s always better to use INNER JOIN, as this explicitly specifies your intention. 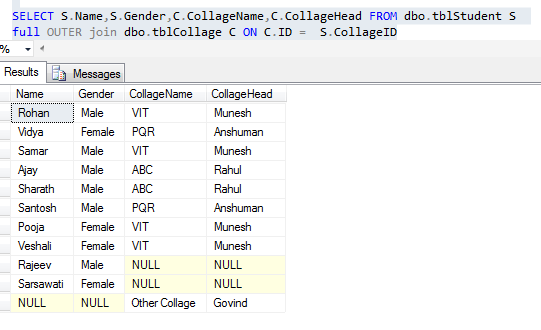 Here it is not the full image ,but when you will run this query then you will see full data.